Harrison Township, NJ Plumbing, Heating, & Air Conditioning Services | SPS Mechanical Inc.
Harrison Township, NJ Plumbing, Heating, and Air Conditioning Services by SPS Mechanical Inc. Performed a routine maintenance on a gas fireplace. Inspected plumbing throughout house. Performed a routine maintenance on a Carrier furnace. another oil to gas heater replacement!!! Removing that old oil heater an installing a 93% gas heater..... time to start saving!! Performed preventative maintenance on 2 zone gas furnaces. Found dirty flame sensor on Rheem water heater. Cleaned as needed and explained our policy of Repair vs. Replace. Whether you need a plumber to take care of your water heater repair or you’re eager to outfit your new home build with a new AC, we have got you covered. That’s right, you heard us correctly: we can take care of your plumbing as well as your heating, air conditioning and indoor air quality service needs in the greater Harrison Township, NJ area. We offer exceptional installation, replacement, repair and maintenance services for a diverse range of equipment, and our technicians are highly skilled and experienced. For fantastic customer service at great value, call SPS Mechanical Inc. today or schedule a service online! Do You Need a Plumber or Plumbing Services in Harrison Township, NJ? We can make sure that your entire plumbing system is taken care of properly from day one. We are a full plumbing service provider, which means that we provide you with every detail, whatever your residence or commercial enterprise requires. From the installation of new gas piping and water treatment systems to leak detection, trenchless sewer replacement and repiping, we have what you need to use water effectively and safely within the home. Over time, all plumbing systems break down. It’s just a matter of time before your water heater, main water line, or garbage disposal requires professional attention. Let us handle your plumbing repair so that you can be confident the job is done right. A water heater is an important amenity in your household. Is yours working correctly? If not, then make sure you let us know. 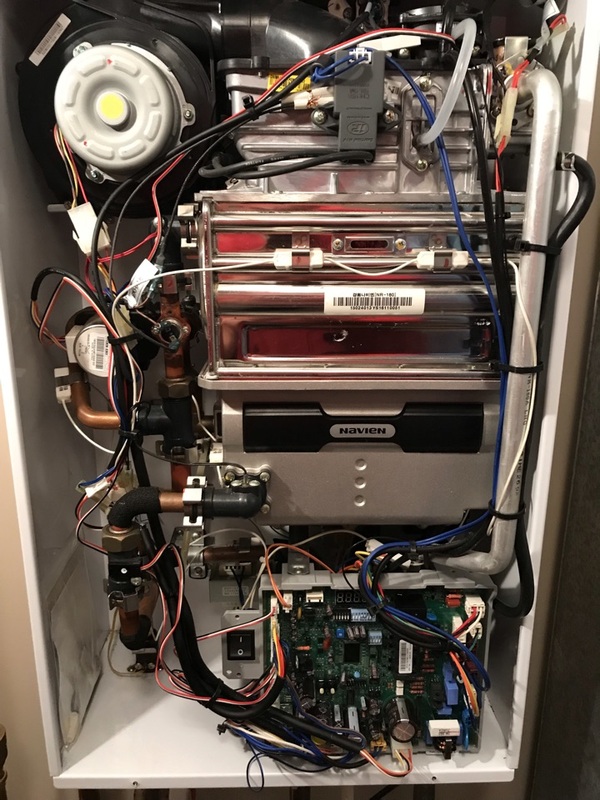 We not only install new water heaters from scratch, but we also repair and maintain them. From the installation of new garbage disposal units to the replacement of old ones, we can make sure that you have what you need when it comes to these handy kitchen plumbing accessories. 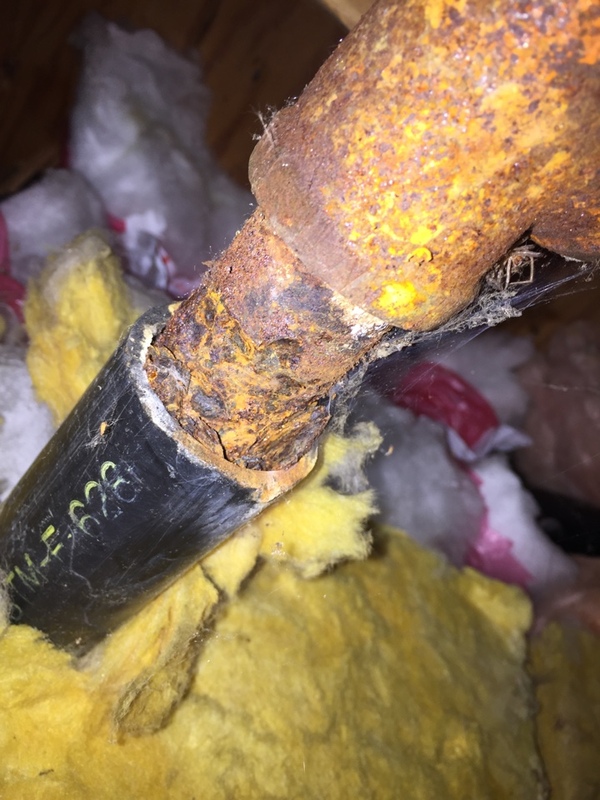 We use only reputable brands and we can fix your disposal if it stops working. A backflow preventer is a device installed within your plumbing system that will shut down your water supply if it detects a drop in pressure that suggests cross–contamination. In some homes, a backflow prevention device is not strictly necessary, but in others, it’s definitely worthwhile. We can help you make the choice. A whole house heating system is something that you should always have installed and serviced by a professional. Without the expertise and knowledge that comes with hands–on experience and years of training, attempting to install your own is just another roll of the dice. We can make sure that your heater matches the size and layout of your household so that it functions efficiently and effectively. We are also available for any heater services such as repair and maintenance. If your heater is acting up, don’t let it get the best of you. Our technicians will be pleased to wrangle your furnace or boiler into shape so that it functions just as it should for your entire family. Our heating repair is excellent. A boiler makes for a great heating system in case you’re looking for a new one for your home. This type of heater utilizes radiant heat rather than heating your indoor air directly, thus making it one of the most efficient systems available. We install, repair, maintain and replace both gas and electric furnaces. That means we handle just about everything concerning the efficiency and effectiveness of your system, however old it may be. Let us make sure that yours does its job. A geothermal system utilizes the moderate underground temperature of the earth just below our feet to heat and cool our homes throughout the year. We offer outstanding geothermal heating and cooling services throughout the Harrison Township, NJ area. If so, you need only pick up the phone to let us know. We understand the challenges to one’s comfort that accompany every summer, and it’s important that you feel confident in your cooling system. We can give you such confidence (and peace of mind) with our air conditioning services. We specialize in all aspects of installation, replacement, repair and routine maintenance. When it comes to air conditioning installation, you can’t be too picky. The longevity and performance value of your entire HVAC system can be determined by the installation process, so it’s best to get it right the first time. If you find that your AC is somewhat dysfunctional or it does not seem to cool your entire living space evenly, then it’s high time you gave us a call. Our air conditioning repair service is exceptional and we spare no effort at solving problems for our customers. Are You Interested in Home Energy Savings in Harrison Township, NJ? Of course you are. Who isn’t? But deciding that you’re interested is not the hard part. We offer a number of great solutions for our customers, including the installation of high–efficiency systems, such as geothermal and solar HVAC, as well as energy audits. Throughout the year, everyone’s energy expenses tend to fluctuate quite a bit, but yours don’t have to go sky–high. We can help you save money without putting your comfort in jeopardy. Learn more about home energy savings. Let us know what your solar heating and cooling needs may be so that we can address the issue at hand. From the installation of new systems from scratch to replacement, repair and maintenance, we do it all. If so, we’re here for you. One of the primary challenges of running a business is making sure that your entire commercial HVAC and plumbing systems are in good stead. Our plumbers and HVAC technicians are here to advise you about new products and upgrades as well as take care of any repair needs that may arise in your day–to–day. Contact SPS Mechanical Inc. today for outstanding commercial services in Harrison Township, NJ. Every member of the SPS team with whom I have dealt is friendly, courteous and highly professional. The technicians that installed my new equipment (Nef and Aaron) were outstanding. I'm a new SPS customer, but expect to be a customer for life. Thanks for the great service and professional approach to providing outstanding customer service! Preston is a fine gentlemen and appears to be very knowlegeable. Preston represents SPS well! We have used SPS probably since 1994 when we moved to Mullica Hill for plumbing and heating/AC. My only concern recently is the frequency of issues and the cost keep increasing. It seems like a $500 bill is the norm recently. I believe we have experienced more issues since the outside unit has been replaced then all the years prior. I periodically stopped down the basement as they were changing out my water heater... each time they would casually mentioned how they were progressive and if I asked a question, they answered clearly and understandable. Great service and helpful advice. Michael was very helpful and explained what was involved in maintaining the heating system. We also discussed and I purchased air conditioner covers to prolong the longevity of the units. Great job! As always, great, informative service. Mike was a very pleasant service technician: eager to explain, inform, and generally, be of good service. Nef has been our service tech for the last couple years and we request him as he is down to earth and goes the extra mile when describing the issue and also what is needed.